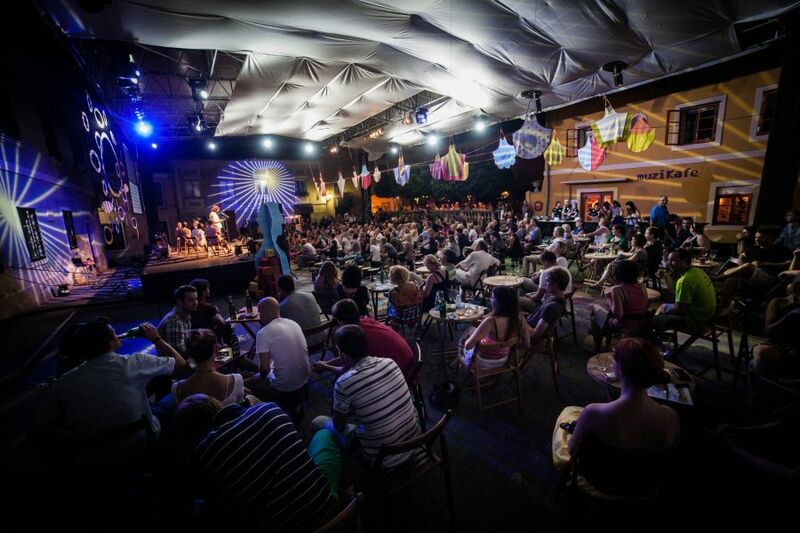 Days of Poetry and Wine will envelop Ptuj in verse again in the last week of August 2015. For the first time as part of the poetry platform Versopolis, a union of eleven important European poetry festivals, which encourages mobility of emerging European poets from different countries, increases the number of their translated works and the accessibility of poetry in general, and includes existing and new audiences in the creative process. This year's focus is Flemish and Dutch poetry, represented by two poets from Belgium and two from the Netherlands, who will also participate at a four-day Dutch-Slovene translation workshop between 22 and 26 August. The festival will bring a colourful selection of events all over Slovenia as well as in Croatia and Austria, where under the title Moments of Clarity, a full day's poetry-wine programme with Slovenian and international guests will take place on Saturday, 22 August, in the Carinthian town St. Veit an der Glan. The traditional Evenings before Days will unfold on the 25 August on six already known and a whole three new locations across Slovenia, while the central festival programme will be held between 26th and 29th August in Ptuj, the central venue, where we have, in addition to the irreplaceable evening Grand Poetry Readings and concerts, round tables and other programme, for the first time prepared a set of events with five promising authors of the platform Versopolis and more new Private Readings on hitherto undiscovered nooks and crannies of Ptuj. Likewise, the Days of Poetry and Wine will this year further expand the programme to the visual field and present a whole six different exhibitions. This year's guests of honour will be Milan Dekleva as domestic and American poet C. D. Wright as foreign guest of honour. On this occasion their bilingual poetry collections will be published: Darwin gre v jedilnico / Darwin goes dining by Milan Dekleva, translated by Andrej Pleterski and Skritost / Obscurity by C. D. Wright, translated by Jernej Županič. As an echo of last year's Swedish focus, an anthology of contemporary Swedish poetry titled Tvoj glas je moj / Your voice is mine will be released, alongside, of course, bilingual booklets of poetry by all guest poets of the festival, of which this year, together with the guests of honour, there are twenty. They were chosen by the Programme Board, composed of Staša Pavlović and Matthias Göritz, and come from fifteen countries around the world, from Costa Rica to Turkey, and write in sixteen languages. Wine altar and three Wicked tastings coordinated by Staša Cafuta Trček and Jože Rozman will introduce no less than 18 vintners: 15 from Štajerska and three from Primorska wine region. Alltogether they will provide us with an unforgettable oenological experience at poetry evenings in the magical atmosphere of Ptuj, Capital of Poetry. Slovene participants of the Dutch-Slovene translation workshop: Veronika Dintinjana, Ana Pepelnik, Milan Dekleva and Marjan Strojan. Warmly invited to Ptuj from 26th to 29th August 2015!